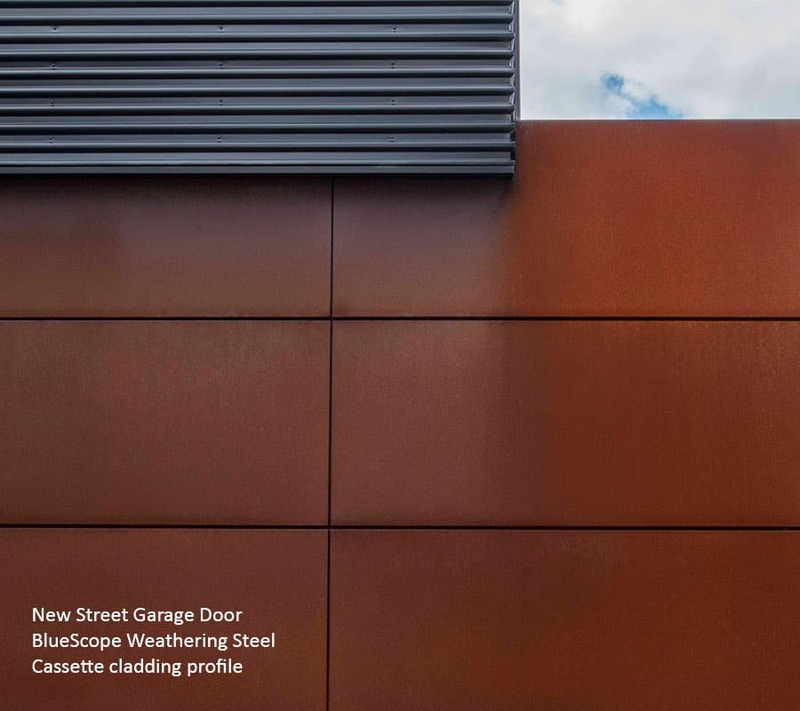 We work with BlueScope Steel’s® range of Weathering Steel. Often referred to as “Corten” or “Cor-ten” (both brands of weathering steel), this eye-catching desert coloured metal is known for its identifiable patina appearance. 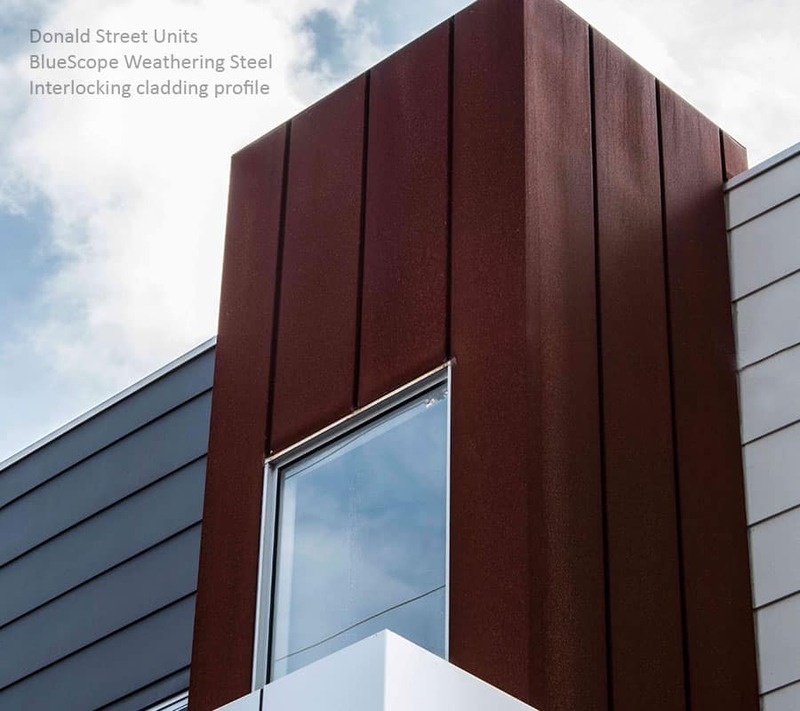 When exposed to atmospheric conditions, Weathering Steel undergoes an oxidisation process, where protective layers develop on the material’s surface. These layers contribute to performance and create the metal’s rust coloured architectural aesthetic. 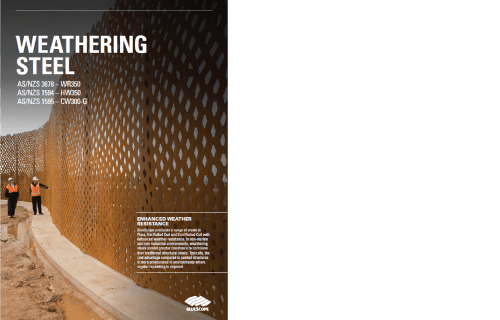 In non-marine and non-industrial environments protective oxidisation can exhibit advanced corrosion resistance, compared to standard steel products. When first installed Weathering Steel is grey in colour. Once exposed to atmospheric conditions, the oxidisation process begins. It can take several months for the material to fully transform, morphing from grey into bright orange, and eventually settling into a deep golden brown. Oxidisation can be induced with salt spraying techniques to quicken the material’s natural ageing process. Looking for a material not listed?